In his 2006 book, The White Man’s Burden, William Easterly contrasts “planning” (which fails) and “searching” (which succeeds). He leads his readers to believe that development projects fail because they are planned. But that is like saying that the cooks spoil the soup because they light the stove. 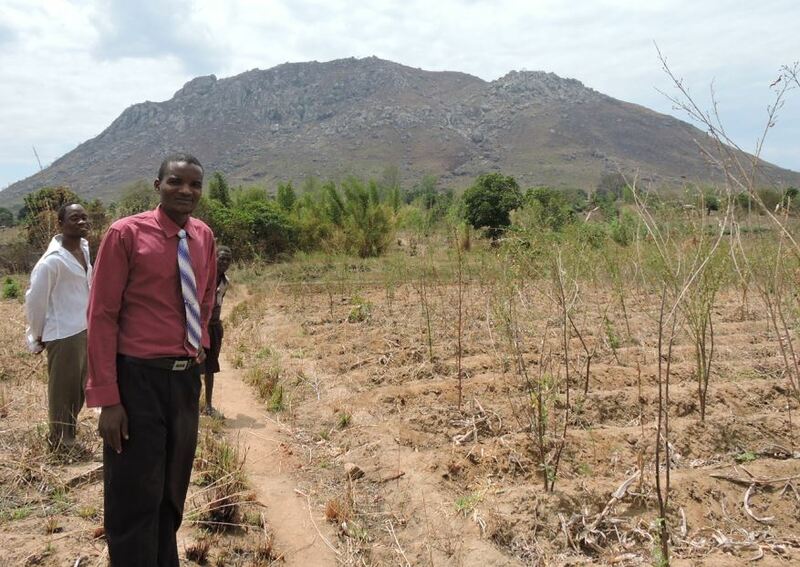 Trial and error are certainly part of agricultural change, but planning is so important that even the smallest projects start with a plan, as Ronald Udedi and I learned last week when we visited Thako Chiduli, who teaches at St. Michael’s primary school in Mpyupyu, southern Malawi. Mr. Chiduli is also a smallholder farmer. In a previous blog I told how another Malawian farmer, Mr. Mpinda, started growing chilli after he watched videos on this spicy fruit. Like Mr. Mpinda, Mr. Chiduli also watched the chilli videos, several times. When I asked Mr. Chiduli what he had learned from the videos, he spoke easily for several minutes, describing the chilli videos in detail. For example, he had learned that seedbeds should only be one meter wide, so one would not step on them while working. He remembered that farmers can burn dry vegetation to control nematodes, the microscopic worms. When somebody tells me about a plan for the future, I am always slightly skeptical, so I like to ask a few specific questions, to see if the plan is well-thought out or not. So I asked Mr. Chiduli how much chilli he was going to plant. “A hectare?” I repeated in disbelief. A hectare is 10,000 square meters, or 2.5 acres. It is not impossible to farm that much chilli by hand, but it would be a challenge, and too much for a first timer. I asked if we could visit his farm. We were soon strolling through a typical Malawian village and into a small compound, where we met Mr. Chiduli’s uncle and his widowed mother, who was grinding meal with a mortar and pestle, to cook lunch on an open fire. Below the home, Mr. Chiduli showed us a dry stream, which would be full of water when the rains came. He explained how he would plant his chilli just above the stream, so he could water his garden. The chilli would be planted on a small wedge of land between a path and a banana patch. I paced it off and made a quick calculation. The land was about 800 square meters, a good size for a chilli garden, but much less than a hectare. I’ve seen other people in Malawi make similar mistakes; estimating field sizes is a specific skill. After Mr. Chiduli and I resolved this simple error we agreed that his chilli plan was realistic. Mr. Chiduli went on describing his plans in detail, how he would plant the variety “Dorado” and make a seedbed at the bottom of the garden, near the water, and carefully mix the soil with manure to enrich it. A month later he will transplant the chilli into rows, in the garden. It was a believable plan.